Windows Vista SP2 will arrive in the wild as a limited beta release on Wednesday 29 October, although it's not expected to bring any surprises. Ever since XP's SP2 famously ripped out the guts of the OS and replaced it with a more secure version, Microsoft has been trying to disavow the public of the notion that Service Packs are major upgrades. Indeed, Vista's eagerly awaited SP1 was really just an amalgamation of the automatic upgrades available for the OS, and SP2 is likely to bring something similar. However, more will be apparent on Wednesday, when the beta version is handed out to a 'small group of Technology Adoption Program customers'. 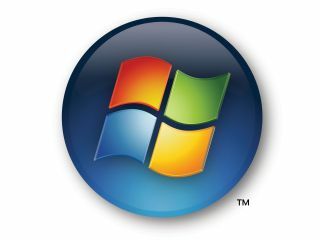 "Windows Vista SP2 Beta contains previously released fixes focused on addressing specific reliability, performance, and compatibility issues," says Mike Nash on the Windows Vista official blog. "We expect Windows Vista SP2 will retain compatibility with applications that run on Windows Vista and Windows Vista SP1 and are written using public APIs." Although Microsoft will no doubt have a timeline for the final release date, the Redmond company is currently insisting that it won't be released before the team is perfectly happy with SP2. "The final release date for Windows Vista SP2 will be based on quality," adds Nash. "So we'll track customer and partner feedback from the beta program before setting a final date for the release."